The Transportation Improvement Program or TIP contains transportation projects that jurisdictions within Spokane County plan to build during the next four years. All projects which receive federal funds are required to be included in the TIP. The TIP is updated with new projects every year; projects vary from maintenance to construction of new facilities like the North Spokane Corridor. There are also bridge replacements, public transit improvements, and new bicycle and pedestrian facilities. For Word version of any documents on this page email contact.srtc@srtc.org or call (509) 343-6370. The TIP is amended on a nearly monthly basis, January through October, as timelines, funding sources and other project details change. All amendments for 2019 are listed in the table below. 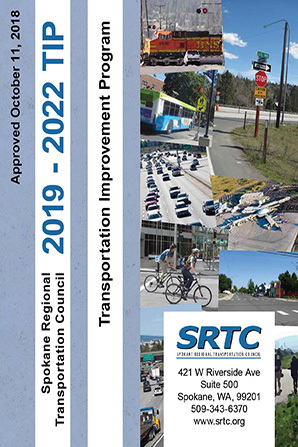 The SRTC Board of Directors recently approved the 2019-2022 Transportation Improvement Program (TIP). The TIP document can be viewed by clicking the image at the top left. The image on the bottom left are Appendices A – F. The TIP contains transportation projects and programs that jurisdictions within Spokane County plan to build during the upcoming four years. All projects receiving federal funds are required to be included in it. The TIP is updated with new projects every year. It includes project names and descriptions, jurisdictions sponsoring them, and funding sources (local, state or federal). Projects in the TIP vary from maintenance to construction of new facilities like the North Spokane Corridor. There are also bridge replacements, public transit improvements and new bicycle and pedestrian facilities. To see how projects will be distributed throughout Spokane County, click the interactive map on the left. You can zoom in to see what projects are planned for your neighborhood or commute route, as well as read project descriptions, costs and more. 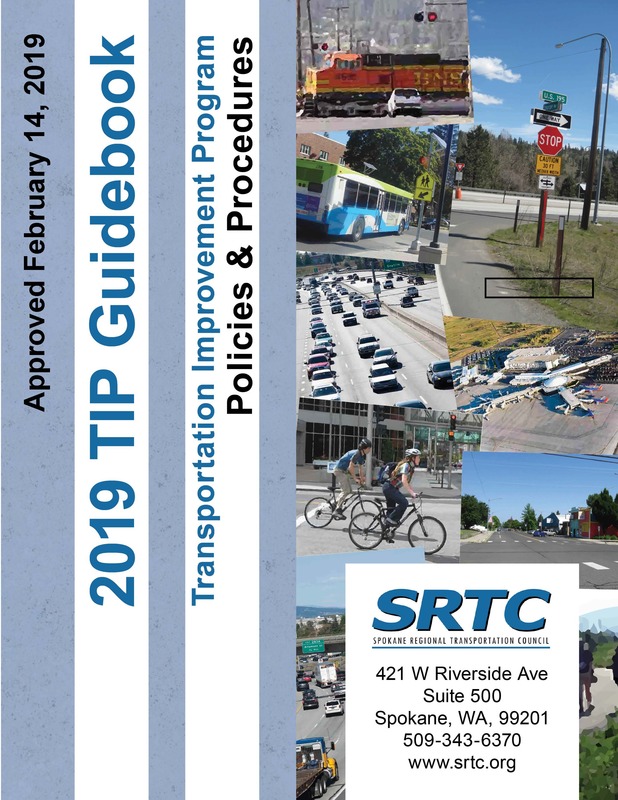 The guidebook provides information related to the development and maintenance of STRC’s TIP, SRTC calls for projects and various programming policies that apply to projects receiving SRTC regional funds. Click on the image to the right to open the 2019 TIP Guidebook. Annual list of federal funds spent on transportation projects locally.